This recording was made in the Mediterranean Sea with a special hydrophone designed to listen to echolocations made by dolphins. Obviously these animal communications are masked by the sound of friction, and personally I found this sound very interesting. Scientists hate it because it affects the listening of dolphins, and a special filter was built to avoid it. 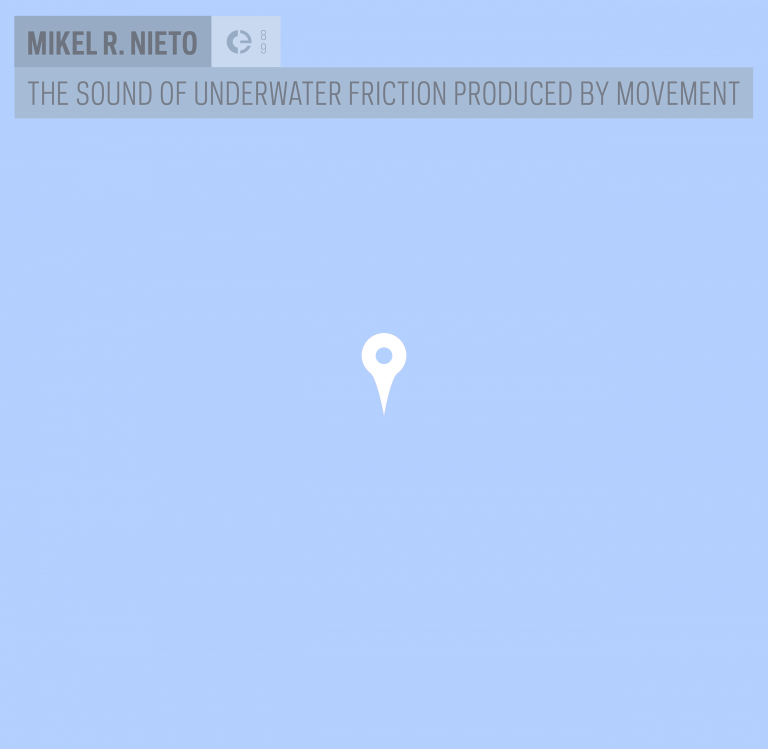 Can we maybe think about this sound as an endangered sound? In addition, this sound is created by velocity and therefore it's not yet possible to upload in a soundmap format, much as it happens in e.g. soundwalks. It's just not possible. I prefer to experiment with this limitation than to hide it. If in a soundmap one could make two markers for a single sound, we could then maybe calculate the velocity of the bodies. And the title of the piece would be so different! Born in Donostia, San Sebastián, Mikel R. Nieto studied art in San Sebastian, Madrid and Barcelona. For years has been immersed in the phonographic practice and theory that aims from it. He has taught workshops in different cultural centers and universities. He is part of the team of sound map of the Basque Country, soinumapa.net, he co-coordinates Hots! Radio, and is a co-editor of the mediateletipos.net platform.